The numbers have been crunched and while the peak of 2015, when 81 startups passed the billion dollar value mark, was not reached, in 2017, we saw the creation of 14 more unicorns than in 2016, according to the analyst firm PitchBook, cited in French financial newspaper Les Echos. 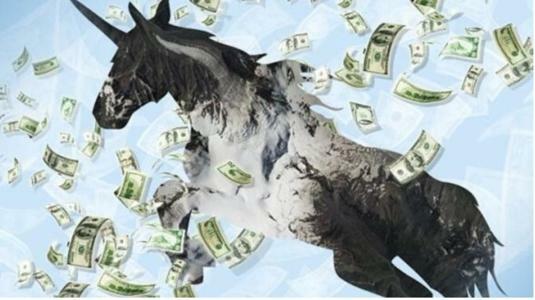 A unicorn is a startup valued at over a billion dollars. Although the term only dates from 2013, it is a rapidly expanding phenomenon. It has become increasingly important for entrepreneurs to get their companies to this threshold, which affords them increased exposure to shareholders and analysts. Last year, 57 startups became unicorns. At the top of this list of new unicorns, the Chinese firm Toutiao, a news and content platform powered by artificial intelligence. Founded five years ago in Beijing, Toutiao has generated 900 million dollars in revenue this year, allowing it to reach a value of 20 billion dollars within the past few months. Amongst these young startups, poised to become giants, are some better-known names such as British food delivery service Deliveroo, worth two billion dollars in 2016 and still growing or American social news platform Reddit, worth 1.8 billion dollars. Thanks to an explosion in the cryptocurrency market, we have also seen an outstanding performance from American bitcoin giant Coinbase, which reached a value of 1.6 million dollars. Not all of these new homegrown unicorns are equal in value- far from it. The disparity can range from a million to twenty times that. In fact, 17 of the 57 firms in question have only just reached the million mark, whilst 10 have exceeded three million dollars. On the market, there are currently 227 unicorns, many a product of the hugely successful year of 2015. That year saw the birth of Swedish firm Spotify and the French firms BlaBlaCar and Criteo. There are calls to question the actual values of these unicorns. Uber for example is valued at several tens of billions of dollars, yet has consistently struggled to find a long-term cost-effective business model. However, the fundraising for these privately held companies, ranging from several million to several thousand dollars, offers them ways to further develop and increase revenue.